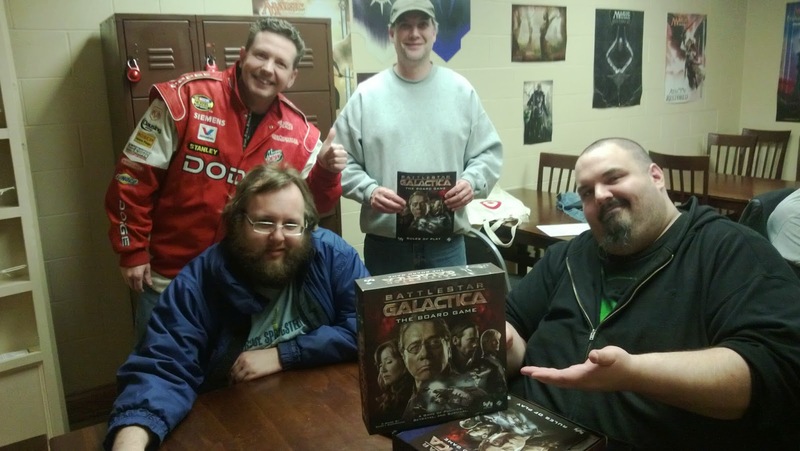 Lots of gaming even post-Gary Con round Lake Geneva, WI, including a Franksville Gameday that took place on April 12th at Greg's Catering, a Burlington Gameday last weekend followed by A Gathering of Gamers at the Elkhorn, WI, Pizza Ranch. 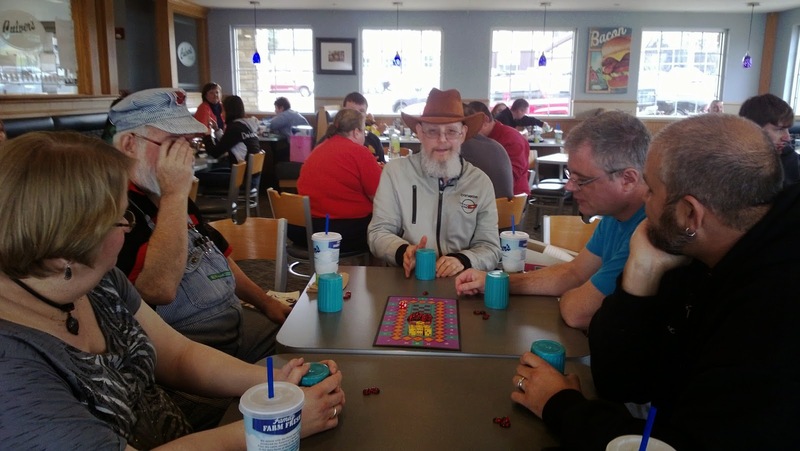 Quite a bit of boardgaming at the Taco Bell on Tuesdays and Culver's on Fridays as well, and the weekly 1E AD&D gaming group at Lake Geneva, Games was going strong. Here are some highlight photos but the bulk of them can be found in a Facebook album here and on Google Plus here.